January is a good time to plan for the year ahead. So, we’ve got some sales that will make it easy to stock up for future projects! 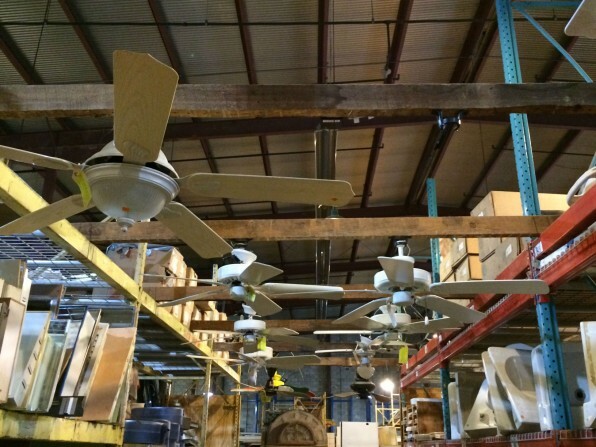 Gently-used ceiling fans are half off this month while supplies last. 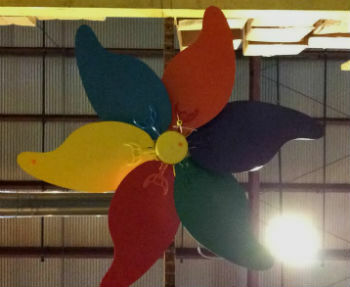 We have a variety of fans: with and without lights; interior and exterior; and modern, industrial, and classic styles. When it starts warming up in late spring, demand goes up and you won’t find many of these at the Forklift. Don’t get stuck paying (gasp!) full price at the big-box store. Get a bargain now so you’re ready when the time comes. 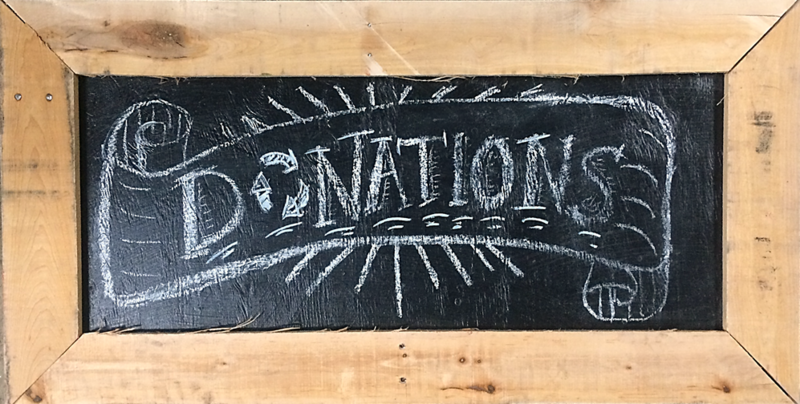 Sale does not include surplus or new-in-box fans, other types of fans or light fixtures, white-tagged items from our Salvage Arts consignment partner, select specialty items, or items with missing or damaged tags. Sale includes most styles of windows, full-glass patio and sliding doors, & window sashes. Some of our modern windows are very high quality or have never even been installed. Great for additions, or for bringing more light into garages, sheds, and other outbuildings. 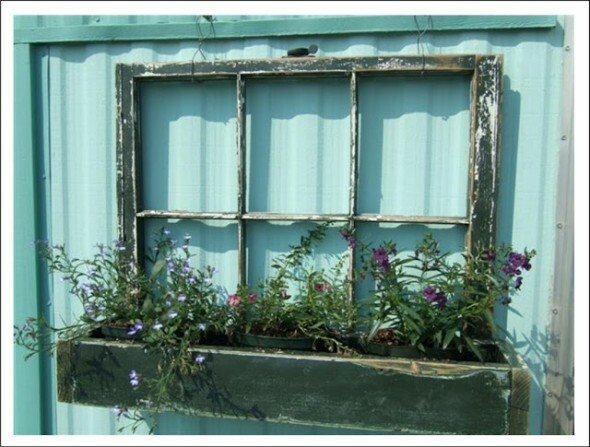 You can also get crafty, and build DIY greenhouses and cold frames – and the vintage wood window sashes are perfect for all sorts of upcycling projects! Sale does not include windows & sashes with blue tags, leaded or wavy glass panes, stained glass,other styles of doors (such as French doors or half-glass doors), items with missing or damaged price tags, select specialty items, or consignment items. Previously priced at $185 – $225, they are now just $92.50 to $112.50 while supplies last! The Hotel Palomar is renovating. 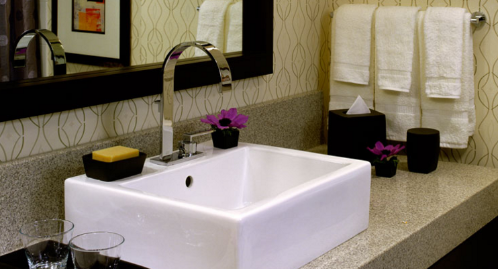 This stylish boutique hotel in downtown DC is part of the Kimpton chain, which is committed to eco-friendly practices. To reduce waste during the renovation process, they’re donating and recycling a lot of the materials that are being removed. So, they’ve donated a ton of beautiful bathroom vanities to the Forklift! The granite tops and vessel sinks are stylish and easy to clean, and the substantial wood shelf below provides attractive, roomy storage. The ones we have received range from 42 to 72 inches wide. 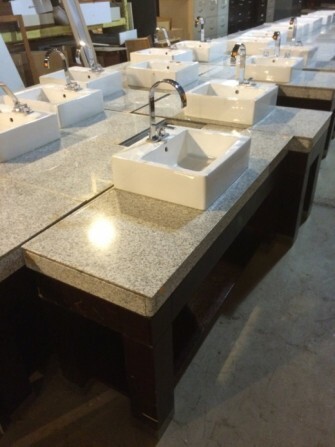 All of the vanities are 30 inches tall, and the sinks are 19.5 inches wide and 17.5 inches deep. A few of them have faucets attached, too. Pay just a dollar each for single chairs marked at $20 or less. Limit 10 per household, while supplies last. 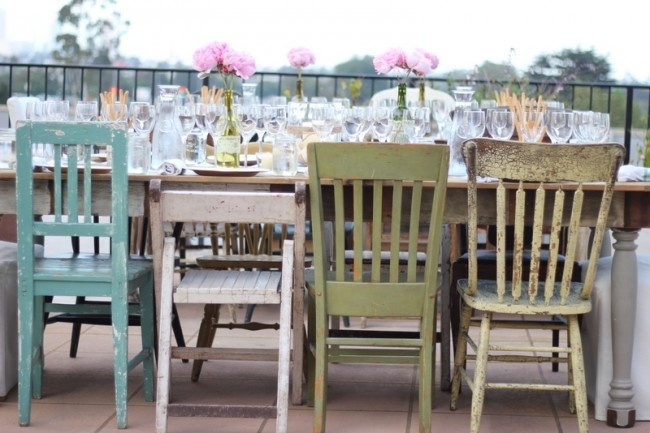 Take a variety of mismatched chairs, then paint them to complement each other. Great for DIY weddings – round up your bridesmaids and groomsmen, and come pick up enough for the whole guest list. Remember to send us pictures of how the chairs look on your big day! Freebie does not include chair sets (such as matching dining sets or chairs with matching ottomans), white-tag items from our Salvage Arts consignment partner, select specialty items, or items with missing or damaged price tags.